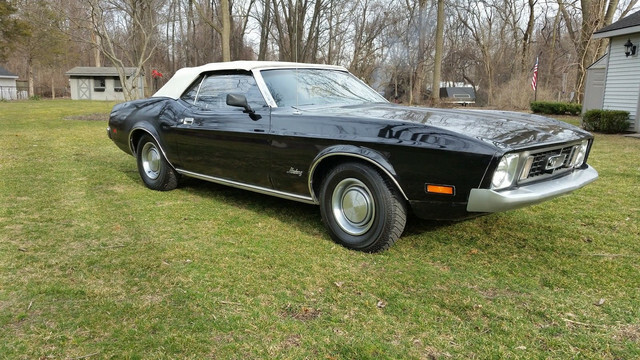 Thanks for letting me join the elite group of mustang lovers who like the 71-73s. A bit of history. I have just imported a 73 convertible from the States. 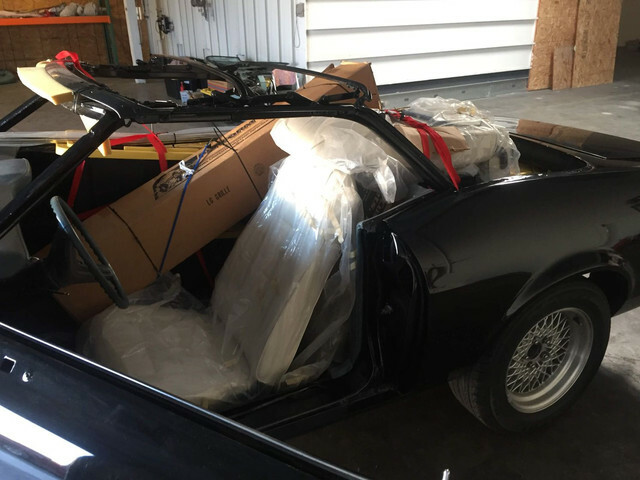 It is an unfinished project started by the owner who had to let the car go because of health issues. It is my first classic car. 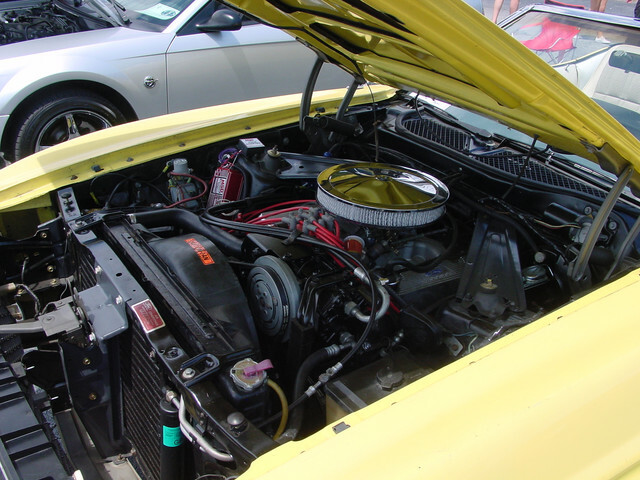 When I was 20 (1985) I bought a 1972 Falcon coupe for $8500 NZD (Australian car, for those State side) but did not have the money to maintain her as the 6cyl engine was stuffed. Sadly sold her at Auction for a paltry $4500 NZD 12mths later. Hindsight little did I know they would be worth a minimum of 60k now and out of my reach, my dream Falcon coupe being an XC (76) cobra coupe. $100k plus these days. 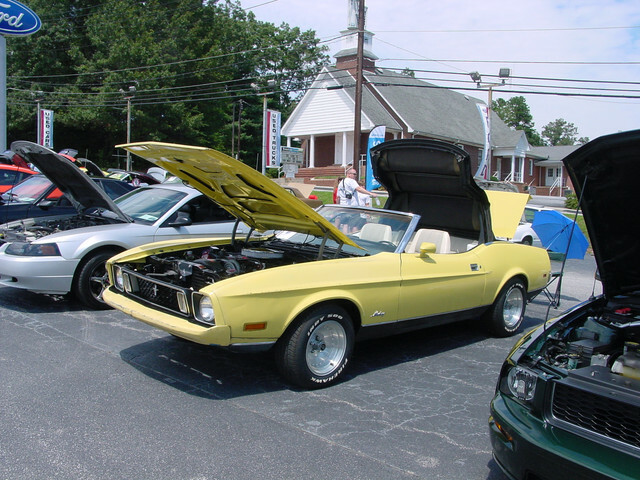 So the closest to the big Aussie falcon is the 71-73 Stang with a similar nose, but don't quite like the rear end of the fastbacks compared to the Aussie Coupe but love the lines of the convertible and the fact the rear seat passengers at car events feel part of the parade when there is a drive past. So I have a mammoth task ahead of me and know nothing about them. The car was panel and painted 5 yrs ago but has just sat around. Sadly the 351W (not original of course) was water damaged through the person paid to waterblast the engine prior to shipping who didn't notice the missing plug and water got down the intake (no carb) and then sat outside for 3 months on a pallet before shipping! So the parts budget for finishing the car has taken a hit with a motor and C4 rebuild. Also found some bugger had punched a hole in the sump to drain the oil at the shipping yard! The car has to go through compliance here in NZ and we have rather draconian strict rules. The car was tagged at the border as having repairs. New rear floor pans and rear 1/4 panels. Unbeknownst to me and the guy who inspected it in the States prior to purchase the car has had a frontal impact some time in its 45yr life and the certifier has directed it goes on a chassis straightener. A few other minor welding fixes are required before I can start assembly. Loaded up with all the parts old and new ready to emigrate downunder! What she used to look like before the US owner took her apart for panel and paint. New NACA hood too! The US owner bought a lot of new parts for the car but there are still a lot of the old parts missing as he had 20 project cars on the go (11 in the US and 9 in Norway) and he has got a few parts mixed up over the last 5 yrs. I have ended up with mismatching headlights and headlight cones that are different. He has bought a new Mach 1 grill but for the life of me googling headlight parts, I have no idea what I need as I cant see to find any parts diagrams showing the Mach 1 grill and headlight assembly so if any of you experts out there can point me in the right direction that would be appreciated. I have been looking to buy the complete left and right headlight buckets 3 section piece bolted together but I cant seem to find the square cone/pyramid shaped pieces online that surround the headlight in the grille. I read they come either chrome or black but I can't seem to find them on parts websites. Any help appreciated. Thanks guys hope I haven't rambled too much. Welcome and thanks for your story! I hope you get to build the car you want it to be, good luck! Welcome for North Carolina, USA. 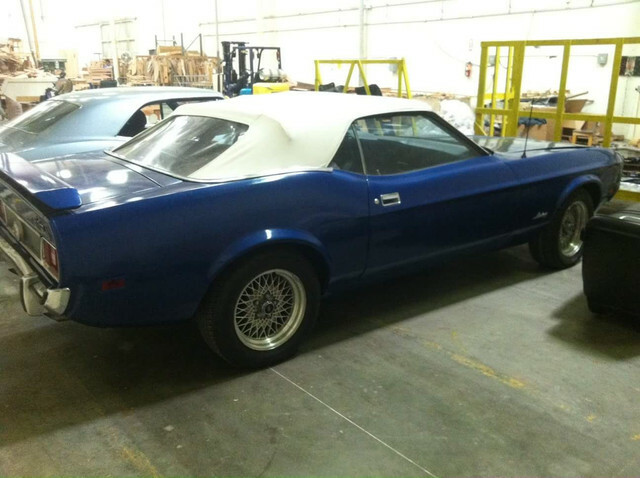 I have 5 1972 & 1973 Mustang convertibles so I might be able to help with any pictures you might need. I also have the Ford shop manuals and I will check to see if there are good pictures of the grill assembly. 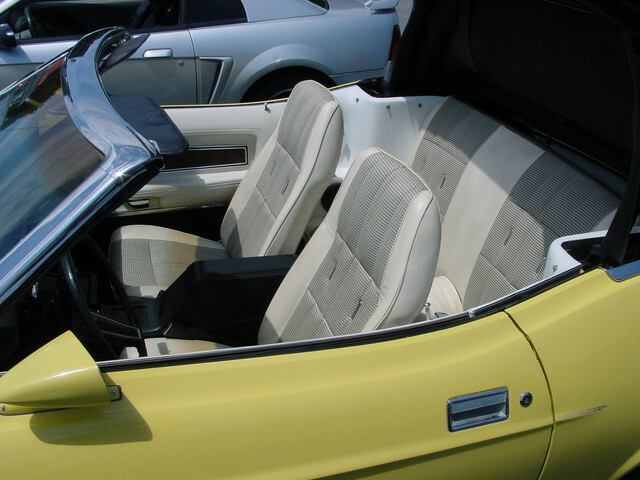 The Mach 1 grill was available in the convertible if you got the Decor Group. That gave you the Mach 1 grill that did have the black out headlight bezels. Standard grill had bright headlight bezels. The Decor Group also added the black out panel between the tail lights that was a stamping not the honey comb panel used on the Mach 1. It also included the lower side chrome that divided the car color and the black out used on the Decor Group. Do a search I have seen a thread on the Forum showing the headlight bucket builds. 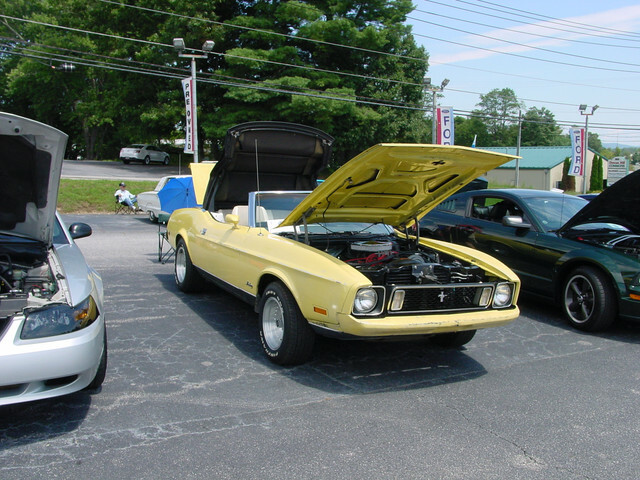 Here are a couple pictures of my 73 with 48,000 miles original paint on most of the car and original interior. From California so not much rust. More info later when I check the manuals. 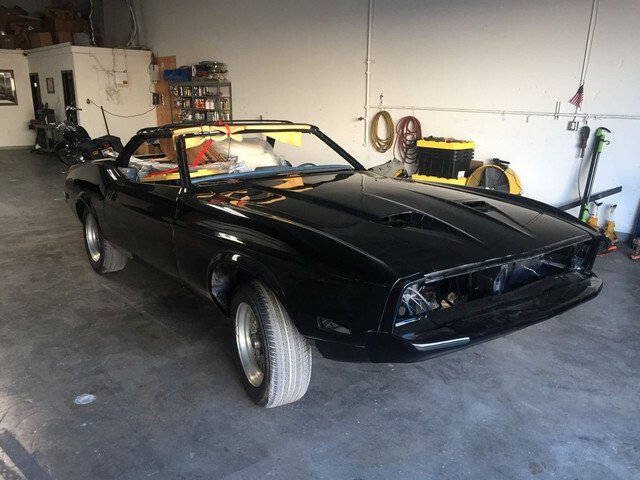 BTW black was not an optional color for mustang in 72 or 73 but could be Special Ordered and will have a six digit DSO code. I have one of the 73 black cars. Marti cannot tell how many black ones but there were 144 Special Order Mustang convertibles built. Picture of it also. The front bumpers on the 73 Special Paint cars were Argent.